Colin Kaepernick still doesn’t have a job. The former NFL quarterback continues to be a controversial figure with organizations like the NAACP now threatening a boycott if he’s not in the league by season start. But a former NFL head coach hit the nail on the head as to why Kaepernick isn’t in the league. Bill Cowher was the coach for the Pittsburgh Steelers for 15 seasons, winning 8 division titles, notching 10 playoff appearances, and 2 Super Bowl appearances with one championship. It should go without saying that he knows football better than most. And Cowher wisely pointed out that it just doesn’t seem like Kaepernick is really serious about wanting to return. “CBS analyst Bill Cowher has some doubt about whether former NFL quarterback Colin Kaepernick is serious about returning to the game. After spending an entire season protesting the national anthem, the former San Francisco 49er opted out of his contract and announced his free agency. However, Kaepernick has not signed on with another club. 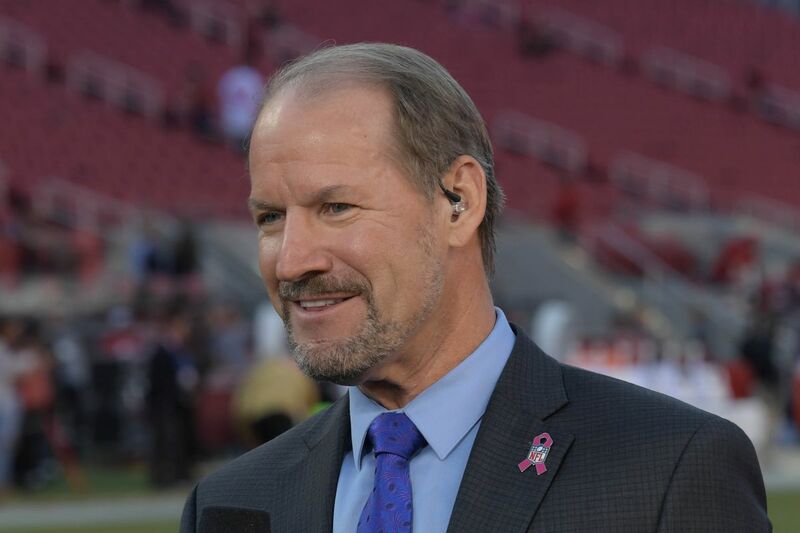 Though, Cowher says he doesn’t see any evidence that Kaepernick has done anything to convince prospective employers that he’s serious about returning to the gridiron. Cowher, a former coach for the Pittsburgh Steelers, recently said that he doesn’t think Kaepernick is trying to “prove himself” to the league. “I’ve not heard from Colin Kaepernick this whole offseason in terms of coming out at this point to me,” Cowher said. The former coach went on to say that he would hire Kaepernick if he thought the player fit a needed role, but that Kaepernick also needs to show he’s ready to come back. “But you don’t hear him saying that, so you just have to wonder, ‘Does he really want to come back?’” Cowher concluded. Former Cowboys quarterback Tony Romo added that Kaepernick is good enough to be an NFL player, and that if any team thought he would help them win, he’d already be on a team. Yet, Romo also brought up the one worry that has been bandied about as a reason Kaepernick is still on the sidelines: that he is too much of a distraction. “If you do something that is in a position for people to talk about, like he did, that’s a whole other discussion,” Romo told Sporting News. But Kaepernick has also been accused of intentionally playing hardball to drive up his price. He’s turned down good offers from teams that wanted to cash in on him being controversial. The real disparity, however, is that Kaepernick thinks he’s a starting quarterback and that’s just simply not true. He’s expecting veteran starter money, but it’s just not going to happen. Brock Osweiller was just released by the Cleveland Browns and his former team, the Denver Broncos, snagged him up for the veterans’ minimum of $775,000. There’s no way Kaepernick takes that amount. So it’s looking like his career in football is over unless a team gets truly desperate due to a season-ending injury to their starting QB.